All you need to do is link your Spotify account to Assistant and set it as the default music service. 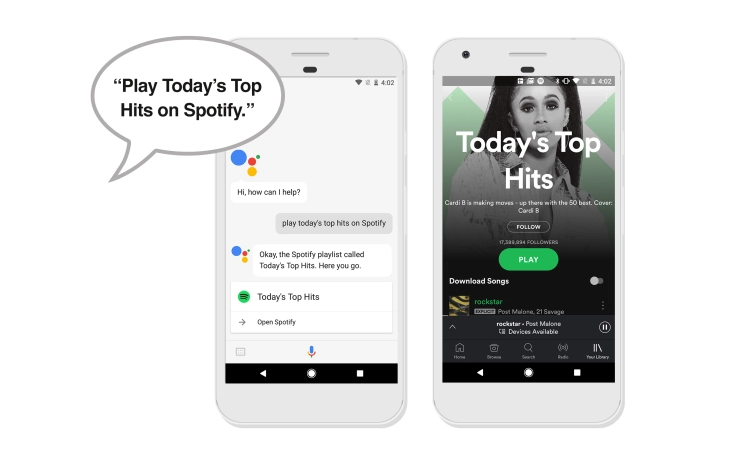 Once you've done that, you just ask Google to play some music, even sending the song to another Chromecast-enabled speaker. Neat. Rita says that she tested this a few days ago, so this may not be entirely new. Regardless, it will be rolling out in the coming weeks.